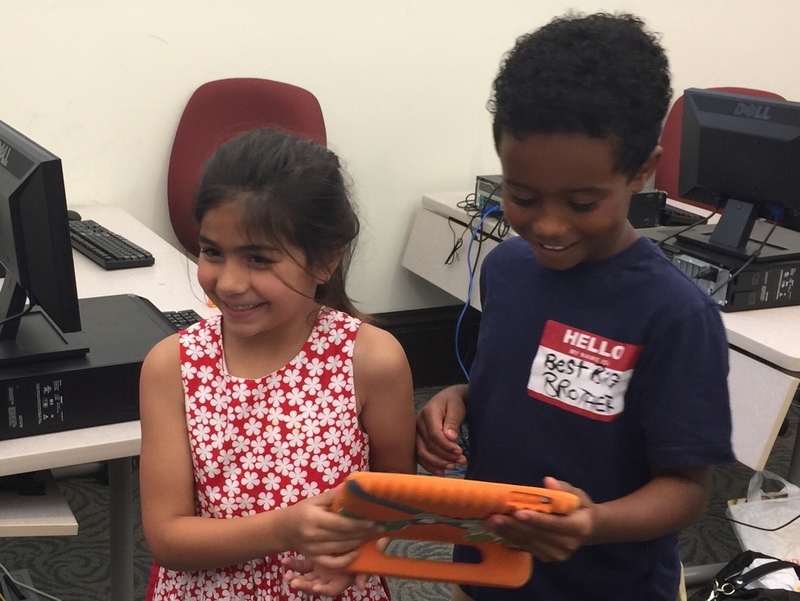 Starting October 16th KodeConnect will start our free weekly robotics and coding club at the Brockton Public Library. We will again be a part of The Wonder League, a worldwide community of clubs inspiring creators of tomorrow through robotics and coding. Last year we had our Pretty Smart Girls team from the club enter and make the finals (30 teams out of 5000 worldwide)! Read about their amazing story here, and watch their homemade fun trailer video. Pretty Smart Girls (PSG) getting their interview and photoshoot done!!! Congrats to an amazing team. 9 out of 10 parents want computer science taught in schools but very few schools offer it. Starting early cultivates an interest and passion for building with technology that will stay with students for years to come. Hands-on robotics is the most fun and rewarding way for young children to learn to code. Teamwork, Problem Solving, Perseverance, Creativity, and Fun! Our partnership with the Brockton Public Library and the Brockton Library Foundation has enabled us to provide scholarships for this program! Please do not wait, sign up to have your child be apart of this amazing program.